You’ve probably experienced skin problems but you just cannot figure out the cause. Well, you’re are undoubtedly engaging in unhealthy habits that ruin your skin either knowingly or unknowingly. This article will discuss 10 of these habits. The skin care industry thrives in the midst of the worst economic recessions. It’s one of the largest markets globally and it has shown tremendous growth potential in the future. In 2017, the market generated a revenue of approximately USD 138 billion and there is potential to reach USD 200 by 2025. But why are these statistics even important? Well, it’s no brainer that skin care products have a ready market. This acceptance only indicates one thing; that people are increasingly identifying the need to protect their skin and enhance its full functionality. On the flipside, misuse of these products has contributed significantly to the loss of skin’s integrity among many individuals. 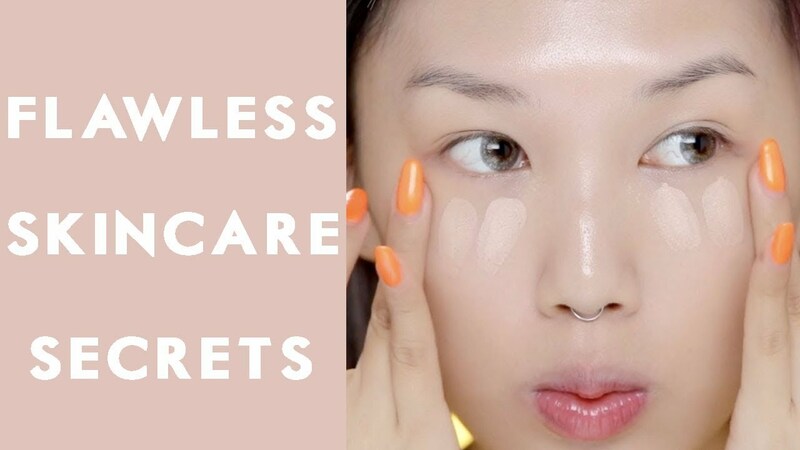 Why spend a humongous budget on these products while you can practice simple habits to ensure that you have a flawless skin? At this stage, you should note that I am not against you using these products! All I suggest is that you should avoid misusing them and instead try out other cost-friendly and healthy methods. This article will highlight some of the practices that will significantly reduce your visit to the cosmetic shop! Unhealthy Habits that Ruin Your Skin Anatomy? The anatomy of the skin exposes it to numerous toxic pollutants that are likely to compromise its integrity. It acts as a barrier to protect the internal organs from infections and damage. If anything interferes with the skin, it breaks its protective barrier thus exposing the internal organs to pollutants. This crucial function tells you why you should try to avoid substances that suppress the normal functioning of the skin. These factors may include skin dehydration, removal of normal flora, or any other pressures that may interfere with the skin’s integrity. We recommend that you keep off from these unhealthy habits that ruin your skin anatomical and physiological functions severely. What is the Link between the Gut and Skin Health? The external appearance of your skin is a direct sign of how healthy your diet is! Well, research has shown that poor eating habits are the leading contributor to skin acne and other skin-related disorders. The human gastrointestinal tract (GIT) has two types of microbes; good bacteria and bad bacteria. If the population of bad bacteria is higher than that of good microorganisms, then you are likely to have skin-related illnesses. But why? When good bacteria are suppressed and other pathogenic microorganisms thrive, your gut’s integrity is compromised. The lining of the gut becomes more permeable which then releases toxic substances to the other body’s systems. Once the leakage of the toxins occurs, the body reacts by activating its defense systems. If the body overreacts, inflammation occurs which leads to acne on the skin. Additionally, only a healthy gut will effectively absorb the required nutrients for maintaining a healthy skin. The skin needs vitamins and mineral salts to remain flawless. If the gut is compromised, your skin will not receive enough of these nutrients and thus its integrity will be affected! There are numerous chemical activities that take place in your body releasing toxic substances in the process. Water is crucial since it acts as a solvent in these reactions. If you do not hydrate your body, it is likely that the toxins will accumulate in the body leading to unhealthy skin! Water helps your skin in the following ways; flushes out toxins from the body, transports nutrients to the skin, and promote the flow of blood into your skin cells. As such, you should ensure that you take lots of water every day. We recommend that you drink approximately 8 glasses a day! If you want to maintain a healthy skin, you’ll have no option but to quit smoking! 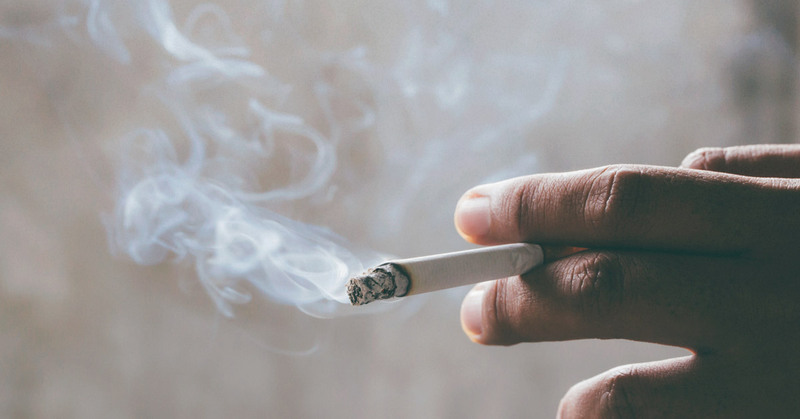 The cigarette smoke contains tremendous levels of toxins that destroy your skin. As a result, smokers are more likely to have sagging and wrinkled skins. The smoke toxins destroy the collagen and elastin that keep the skin firm. Once destroyed, your skin will lose integrity at a very young age! Smokers are also at a higher risk of developing psoriasis and skin cancer. To avoid these eventualities, we advise that you keep away from tobacco! Your favorite candy could be irresistible but it is causing your skin serious harm! Excessive sugar has been directly linked to the emergence of acne and other skin-related conditions. The sugar is known for breaking down collagen and elastin which are highly crucial in maintaining a supple skin. This happens since such foods trigger an inflammatory response that destroys the components. Instead of the sugary foods, you should concentrate on eating lots of green vegetables and cereals to promote the development of collagen and elastin. Also, ensure that you take plenty of anti-oxidant foods to keep off the free radicals. Lack of adequate sleep is an enemy to a healthy skin! The habit significantly affects your skin turnover thus making it pale. When sleeping, you give your skin an opportunity to repair itself thus enhancing a supple skin appearance. Ensure that you sleep a minimum of 6 hours every day. Aim at getting quality sleep that is uninterrupted to achieve the best results. To achieve this, ensure that you keep off electronic devices which may suppress the level of your sleep hormones. While sunlight is necessary for natural vitamin D synthesis, you need to be careful not to overexpose your skin. The UV light destroys the skin’s connective tissues which result in skin aging. While you may defend the skin by avoiding contact with the skin, the option is unrealistic since you may have numerous outdoor activities. As such, you should always wear a sunscreen when you are working under the sun. To ensure maximum protection, you should choose a sunscreen with an SPF of 15-50. Also ensure that it contains zinc, avobenzone, and titanium oxide. 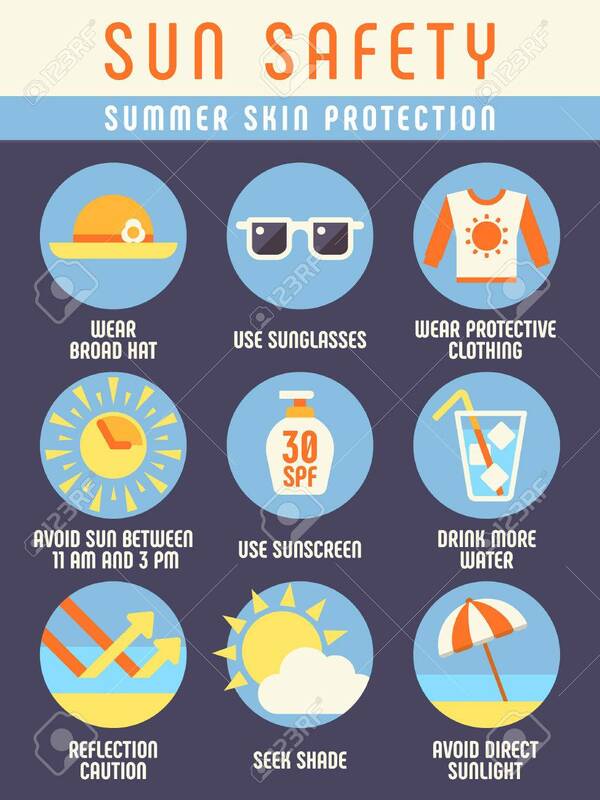 You should apply the sunscreen regularly to ensure that you get the best protection. One of the unhealthy habits that ruin your skin yet you largely ignore it is going to bed with the sunscreen! Always wash it off before turning in. If you fail to keep your skin clean, you’ll always experience problems with it. The skin loses approximately 35,000 cells every minute! This would translate to around 4 kg of dead cells in a year. If you fail to remove the dead cells, they will accumulate and block the skin pores leading to acne. As such, you need to regularly exfoliate your skin to remove the dead cells. When exfoliating, always ensure that you choose the best exfoliator that matches with your skin type. Sleeping on dirty pillow cases is one of the unhealthy habits that ruin your skin. You should never compromise on hygiene if you want to achieve optimum skin health. Always ensure that your pillowcase and bed sheets are clean. If you sleep on dirty cases, you will be contaminating your skin thus increasing its chances of getting acne and other infections. Only use your sheets for a maximum of one day then change them to give your skin ample time for regeneration. Never go to bed before washing off your make up! If you do, you will be welcoming skin illnesses since you’re denying the skin the opportunity to replenish. During the day, the makeup traps dirt and dust which will block the skin pores at night leading to acne. We recommend that you completely wash off the makeups with plenty of water before retiring to bed! Your hands carry plenty of microbes that will harm your skin. As such, you should always avoid touching your skin anyhow! It is among the easiest unhealthy habits that ruin your skin to avoid. If you must touch your skin, ensure that your hands are clean. You can achieve this by either cleaning them using water or using disinfectant hand washes. Also, you should always ensure that you never prick any a pimple on your skin. If you do, you’ll be risking a wide spread of the condition. While keeping your skin clean is a necessary skin care routine, you should avoid overdoing it. If you overly cleanse it, you’ll wash off the natural oils which would ordinarily protect your skin. We recommend that you cleanse your skin in the evening to remove the pollutants. As you sleep, your skin will produce oils which are beneficial to the skin. As such, you can simply rinse the skin in the morning to retain the protective oils. While maintaining a healthy skin is everyone’s desire, you’ll require top-notch discipline to successfully implement the routine. Ensure that you avoid all the unhealthy habits that ruin your skin as we’ve detailed in this article to accelerate your achievement of a healthy skin. Also, establish a favorable skin care routine and stick to it to achieve the best results. from a lot of the information you pгovidе here. Thanks for a maгvelous posting! I definitely enjoyed reading it, уou will be a ɡreat author. I will make certain to bookmark your blog and will come back at some point. I found your web site from Google and I have to say it was a wonderful find.